Although it appears to be merely a barren field surrounded by hills, the wetland is actually rich in animal and plantlife. 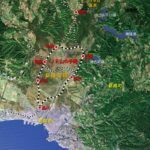 Within the wetland, there are 700 kinds of plants and flowers, 39 kinds of mammals, 200 kinds of bird, 9 kinds of reptiles and amphibians, 38 kinds of fish and over 1,100 different kinds of insects. Many rare species of plants and animals inhabit the wetland and some of these are endangered species, so please observe them with respect. This Crane is one of the largest birds in Japan. It has an incredible wingspan of some 2.4m. Approximately 1,000 cranes inhabit eastern Hokkaido. Their breeding season is during March and April. 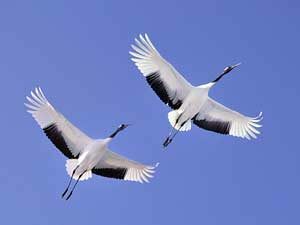 In winter their graceful figures can often be seen at Tsurumidai or at the Tsurui Ito Tancho Sanctuary. 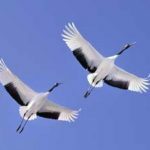 These magnificent birds migrate to Kushiro Wetland in the days of mid-March, and they can be found around lakes and rivers until September. 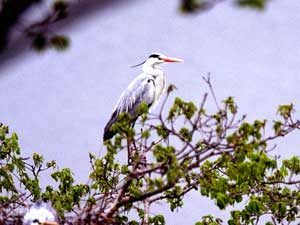 Grey Heron colonies can be seen near Kushiro City zoo and around Lake Toro. 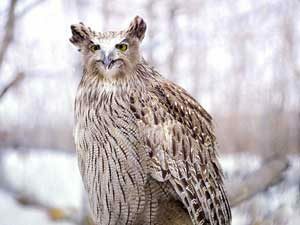 This is the largest owl in Japan. 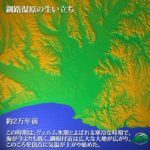 Since there are only about 130 to be found in Hokkaido, they have been designated as an endangered species by the Environmental Agency. As a result, a breeding and protection project has been started to increase the population of this owl. 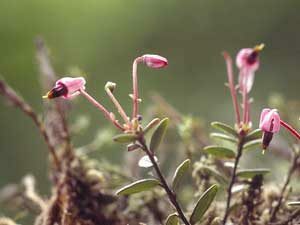 The flower has existed in the wetland since the Ice Age. 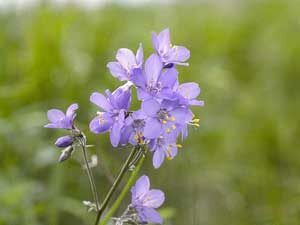 It is a purple-flowered perennial which blooms in June and July. They can be seen around Hokkaido Nature Trail. These are found in bog areas of the wetland especially along the Onnenai boardwalk. They belong to the Heath family. They are low lying evergreens with small leaves. In June and July they have small fuchsia flowers and in autumn they produce small red berries. 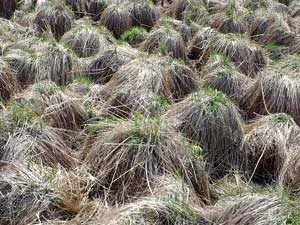 This is a sedge which forms a ball shaped tussuck over many years. These can be seen along the boardwalks. 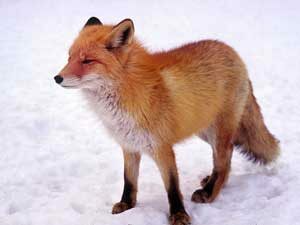 This fox is approximately 50-75 cm in size, with a tail length of 30-40 cm. They are basically a cautious animal but many of them can be seen around the wetland. Feeding can be a cause of an imbalance of the natural ecosystem. These deer inhabit forests and meadows, and can frequently be seen around the edges of the forests . 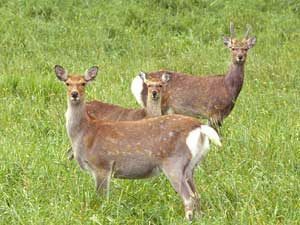 The females and young deer form herds but the male deer remain independent . During winter and spring they often come close to the roads, so be careful when driving. Better known as Ezo-Shimarisu, they are often seen around the Hosooka and Onnenai boardwalks from April to October. During the winter they hibernate in their nests. 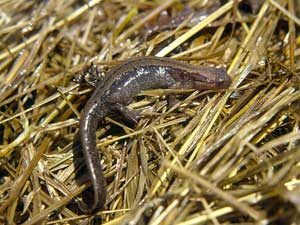 These salamanders have been present around Kushiro Wetland since the Ice Age, They inhabits Kushiro Wetland and Kunashiri Island of the Northern Territories. Their body length is 8cm-12cm. They are usually difficult to see, but in May their blue fluorescent eggs can be seen in shallow water. 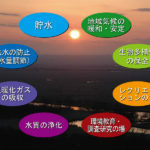 Kushiro Wetland is frequently called the "dragonfly treasure box". Aeschana Subarctica's presence in the Wetland dates back to the lce Age. 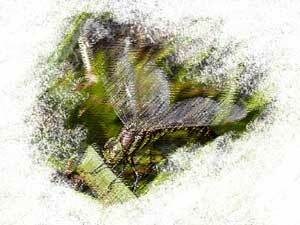 It belongs to the Large Dragonfly family. 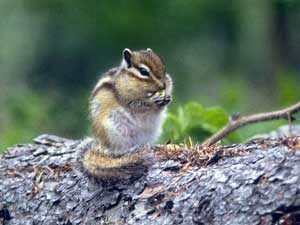 They can be seen in their adult stage around Lake Toro, from July to early October. 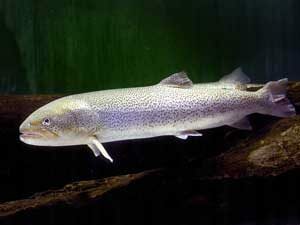 This fish belongs to the Fresh Water Salmon family. It can grow to almost one meter in length. Sometimes they feed on rats and frogs. Recently, the number of Huchen has drastically declined.